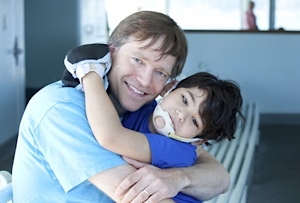 From the moment a child is diagnosed with Cerebral Palsy or any other disability, one’s immediate thought from the professionals to the parents focuses on the physical and cognitive development of the child. What we sometimes forget is that the long-term emotional implications for children and their families living with disabilities are vast. This is true for any child diagnosed with a disability. As we focus on their cognitive and physical development, are we ignoring their emotional development? Children with special needs need a viable resource and a safe environment where they are free to express any negative feelings surrounding their condition without repercussions. Families who are struggling to come to terms with the situation need to see they are not alone. Children often relate better to inanimate objects, like stuffed toys, where they can be free to express their emotions without criticism, and this is an approach that has numerous positive effects and spin-offs. There comes a point in every child’s life where they become acutely aware of themselves, their surroundings and their place in the world. This is no different for a child with disabilities. It is often during this time that their uniqueness is highlighted and felt more acutely and they are often left feeling frustrated, especially as there are few role models for them to aspire to. It is often left up to parents, who themselves are trying to cope, to help their child come to terms with their reality. Children are constantly trying to assimilate and interpret the world around them. This is true for Cerebral Palsied kids as well and they sometimes find it harder to process society’s view that is being projected back at them which is in many instances is vastly different from their own. It is important to assist those children by developing a positive self image and to learn to work within the parameters of their disability rather than being defined by them. Children being mainstreamed need help to make the transition easier. It is often not only the child that needs assistance but also the school, class and teacher. It is important to demystify any preconceived ideas by educating all those involved and changing their perception. Often it is only those who work within the specialized field of education who are aware of disabilities like Cerebral Palsy which can make integration into mainstream schools difficult. There is a lack of knowledge and a preconceived idea of what the child with a disability is capable of achieving. There also needs to be interventions or projects that aim to change the perceptions of teachers at a training level. Teachers who do not specialize in remedial education need to be aware of changing their approach to working with the child with special needs and helping them reach long-term goals that will allow them to become productive members of society. While much emphasis is placed on mainstream issues that normal children face, there is untapped resource in the potential of Cerebral Palsied children. 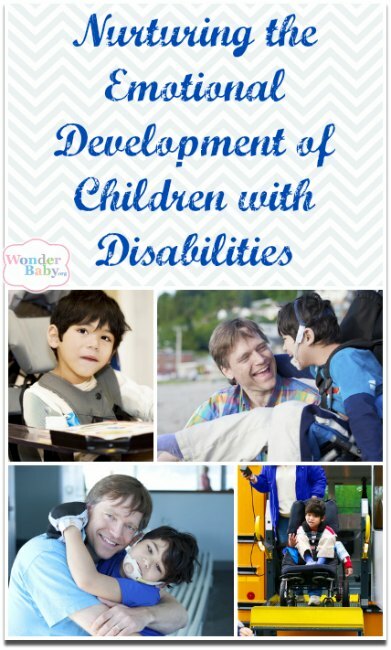 By focusing and incorporating this aspect into the development of future programs, therapists can help mould and change the outcome of the disabled children they work with. Although children with special needs may attend specialized schools, families often feel that they are living in isolation having to deal with not only the physical implications of the disability but the social and emotional aspects too. We need to change the focus and look beyond the immediate solutions, but help families set realistic yet achievable goals that will help define and set the path for those living with disabilities and their future. This is especially true when it comes to more rural settings where ignorance and bias is rife. Communities need to be educated and families need help to recognize that although they may feel like they live in isolation, there is a common bond that connects them with other families facing the same challenges. Not every family has the ability to provide enough emotional encouragement that will sustain their child’s development. Professionals in specialized education like physical, occupational and speech therapists also need tools to assist them to give additional support to those families that seek it. The author, Lesley Potgieter, was born with CP and attended a specialized school before being mainstreamed in grade 7 and later qualifying as a teacher. Four years ago she suffered a stroke which has added to her challenges. Lesley has an integral, personal knowledge of the issues she writes about. Her Aware Bears project aims at addressing many of the issues she raises.